Valentino Khan was first introduced to the world in 2014 when he burst onto the scene with his debut EP In Khan We Trust on Skrillex’s OWSLA label. His sound possessed a unique versatility, incorporating elements of trap, bass, hardstyle, house and more into a driving, oftentimes heavy sound that found homes on labels such as Mad Decent, Spinnin Records and Ultra. In 2015, his original track, “Deep Down Low,” became an international sensation, earning the title of “Most Played Track Of The Year” and topping SiriusXM’s No. 1 Song of 2015 on Electric Area. His more recent original productions include “Pump,” “Gold” with Sean Paul, and production credits for the likes of 2 Chainz, B.O.B., Dizzee Rascal, Iggy Azalea, T.I. and more. 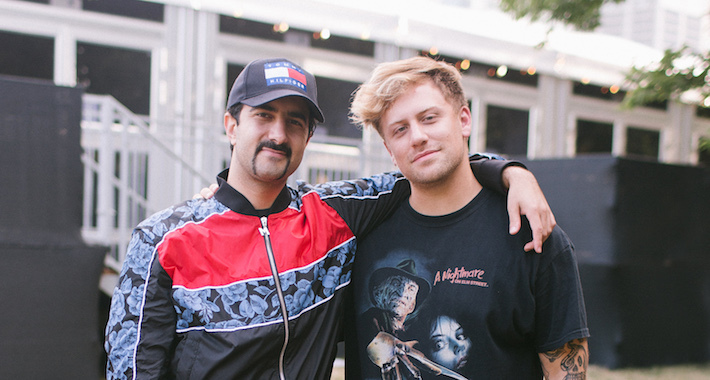 Valentino Khan and Kayzo are now kicking off 2019 strong with a brand new drum and bass, hardstyle and trap song, “Novocaine,” which released on Diplo’s Mad Decent. The hybrid bass track begins with intense, hardstyle-influenced percussion, where Khan uses this as a warm up to deliver jarring, distorted synths and a heavy dose of bass, melding elements of trap and drum and bass. With so many styles all shoved into “Novocaine,” the track should come with a warning label: Not for the faint heart (or hearing), as it will numb all your senses. “Novocaine” is certainly going to be massive over the speakers at the Hollywood Palladium on March 9, when Khan takes his biggest stage to date. The track is out now so download/stream your copy here and be sure to lock your tickets for Valentino Khan’s takeover of the Hollywood Palladium here.